Despite depressed crop prices, fertilizer is on an upward trend. According to University of Illinois (U of I) research, August and September fertilizer prices confirm fertilizer prices will continue to rise for the 2019 season. In total, he expects $15 per acre higher fertilizer costs in corn and $5 per acre higher costs in soybeans. 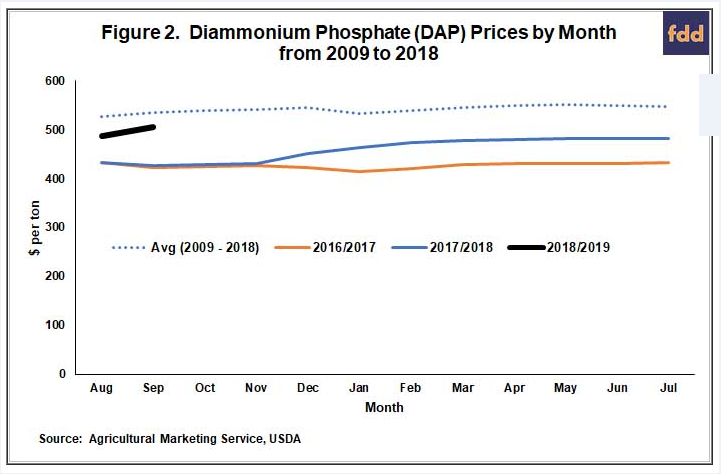 This price increase ends fertilizer price declines that began in 2012. 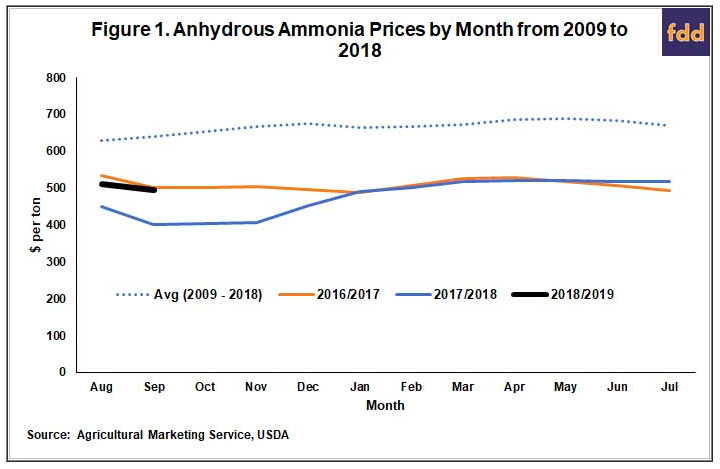 In August, anhydrous averaged $512 and $496 in September 2018—above 2017 prices. Schnitkey found August prices $62 higher than the July 2017 price of $450 per ton, and $94 higher than September 2017’s $402 per ton. August and September 2018 price are near 2016’s high levels of $533 and $502 per ton, respectively. Keeping with the trend, August and September 2018 DAP levels are above 2017 numbers. August 2018 showed $488 per ton, $55 per ton higher than August 2017. September prices are $80 per ton higher than 2017. August 2018 average price was $528 per ton and September hit $535 per ton. 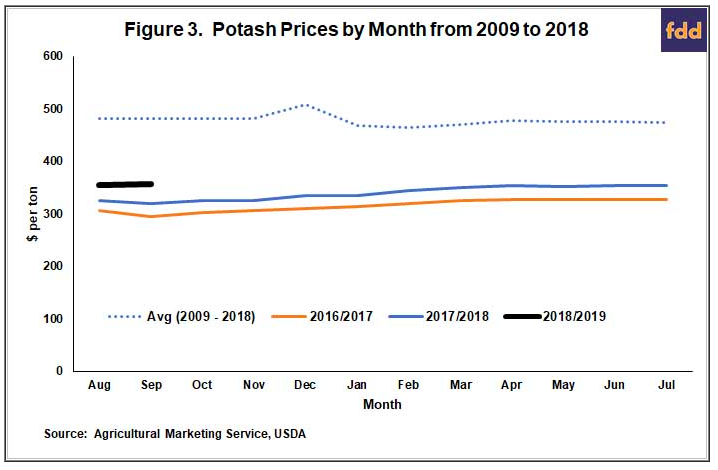 At $354 per ton in August 2018, potash is $29 per ton higher than 2017 August average. September continued that upward trend at $357 per ton, $37 per ton higher than 2017. However, prices are still below 2009-2018 averages of $482 and $481, respectively.